Onboard safaris are a great option for dive travel. But with exotic destinations and a price for every budget, it can be hard to decide which dream vacation suits you best. 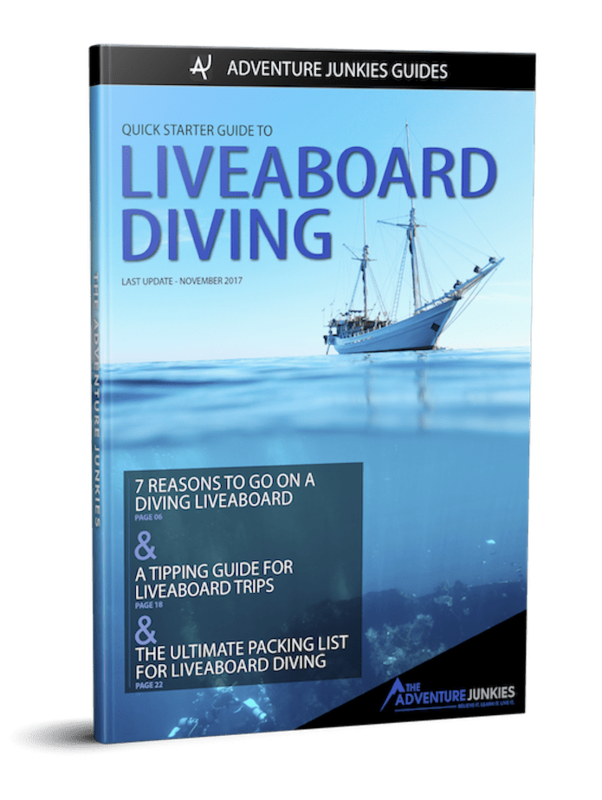 Our top tips to choose a liveaboard will help you narrow down the options and plan the perfect diving holiday. A big benefit of booking a liveaboard is that your diving, meals, and accommodations come included. Combine that with the best and most remote dive sites on earth, and you have a diver’s dream vacation. You don’t have to spend a fortune on liveaboard diving. Many budget friendly and mid-range options offer excellent value for their price. Of course, if you prefer a high-end holiday, some luxury vessels feel more like a boutique hotel than a boat. Whether you’re taking a quick trip to Thailand or going all out in the Maldives, we’ve got you covered. The biggest planning decision you’ll have to make is where to go. 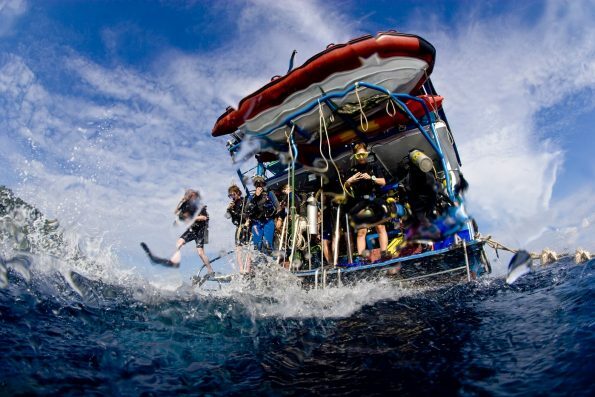 Liveaboards operate in the best areas for diving worldwide, and the options are limitless. Rather than choosing a specific destination up front, start by selecting a region and go from there. Pacific dive locations throughout Mexico, Cost Rica, Colombia, and Ecuador are favorites for shark enthusiasts. Across the continent, Caribbean liveaboards in Belize, the Bahamas, and Cuba feature colorful and vibrant coral reef systems. The Galapagos Islands are this hemisphere’s most popular liveaboard destination. This chain of 20 volcanic islands offers encounters with marine wildlife found nowhere else on our planet. With some of the most biodiverse waters in the world, Southeast Asia is the classic liveaboard destination. Thailand, Burma, the Philippines, Malaysia, and Indonesia offer limitless potential in a variety of underwater environments. Many trips pass through the Coral Triangle, home to 2,000 plus species of reef fish and 6 species of sea turtles. Best of all, even budget liveaboards in this region typically offer outstanding service. Guests can expect warm hospitality, excellent traditional food, and knowledgeable local guides. Exotic islands like Fiji, French Polynesia, and Palau tempt scuba divers with resident hammerhead populations, migrating whales, and locations that define remote. Nearby Australia houses the Great Barrier Reef, one of the world’s most beloved dive destinations. On the opposite end of the region, Hawaii promises divers truly unique opportunities diving with manta rays, miles from the Kona crowds. Chuuk Lagoon is one of the best places on the planet for wreck diving, and many liveaboards in the area feature special facilities designed for the shipwreck enthusiast. Plenty of tech options can be found here, including trimix and rebreather diving. Because this region is so large and diverse, it is best suited for longer itineraries. This diverse region features warm water year round, making it a serious hotspot for large pelagics. Hammerheads, Oceanic white tips, whale sharks, and thresher sharks can be spotted here, often in open water. A multitude of shipwrecks, most from the 19th and 20th century attract technical divers from around the world. Discovered by Jacques Cousteau, the SS Thistlegorm is considered one of the top wrecks for divers worldwide. All these attractions, alongside pristine reefs, make the Red Sea a popular liveaboard destination. Egypt, Sudan, Jordan, Oman, and Djibouti offer unique itineraries throughout the region. The Indian Ocean hosts some of the world’s most remote atolls and luxurious liveaboards. Manta rays and whale sharks are the primary focus for dive safaris in the Maldives, making it a mecca for underwater photographers. With over 115 islands, the Seychelles are spectacular above and below water. Most itineraries feature a trip to the world’s largest raised coral atoll, Aldabra. Sri Lanka and India are emerging dive destinations, with a few liveaboards operating. These waters are also an excellent region for whale watching in addition to liveaboard diving. What flora and fauna are you hoping to spot underwater? Nothing is certain, and no dive operation will promise specific wildlife sightings. But, it’s a good idea to plan around what you’d like to see. Be sure to take the season into consideration when researching for your trip. Not just for photographers, macro life is small but stunning. Favorite finds include the blue ring octopus, Spanish dancer and ghost pipefish. Thousands of species including nudibranchs, crabs, and shrimp can be found around the world, hiding in the reef’s cracks and crevices. Rubble and muck bottoms in remote locations are best for locating super rare species. Indonesia’s Lembeh Strait is the most famous macro liveaboard destination featuring these environments, but certainly not your only option. For more information, check out our guide to the best spots in the world for macro diving. Most liveaboard divers are hoping to encounter large species underwater. Whale sharks, manta rays, and hammerheads top most scuba bucket lists. If you’ve already checked these off, an encounter with the strange and endangered ocean sunfish might be for you. Larger than life swims with dolphins, sea lions, turtles, and sharks are exciting experiences, even for seasoned pros. If you are looking for an adrenaline rush, South Africa’s sardine run brings the big stuff to you. Divers can expect to see billfish, big sharks, and massive shoals of migrating baitfish. For an even more hair-raising experience, take the plunge with saltwater crocodiles in Jardines de La Reina, Cuba. Liveaboard itineraries come in short, average, and fantasy lengths. Easy to reach destinations, like Thailand’s Similan Islands and Ras Mohammed National Park in Egypt, make for great four-day trips. Farther-flung destinations such as the Galapagos Islands need six to seven days to explore. Extended trips to the most remote places on earth can run upwards of 14 nights and cover two or more countries. These once in a lifetime liveaboards often explore Komodo and the Coral Triangle. For the craziest trip we’ve seen, check out Wicked Adventures 19-day voyage known as The Great Crossing. Longer trips don’t always mean logging the most dives. Most liveaboards offer around four tanks per day but select safaris offer up to six. 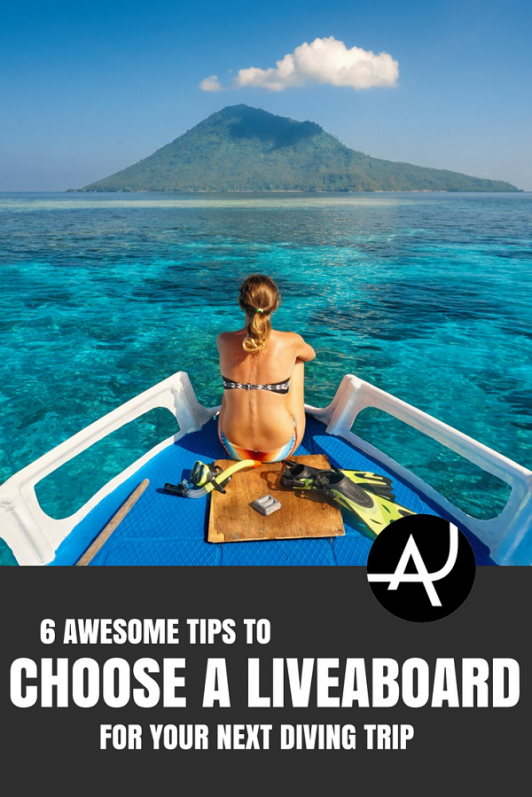 Before you book the liveaboard with the most dives per day, consider your comfort. A full day of diving leaves little down time for relaxation. Also, many people find themselves more tired than expected after three to four dives per day. Keep your physical condition, temperature and experience level in mind as factors when deciding what number works best for you. 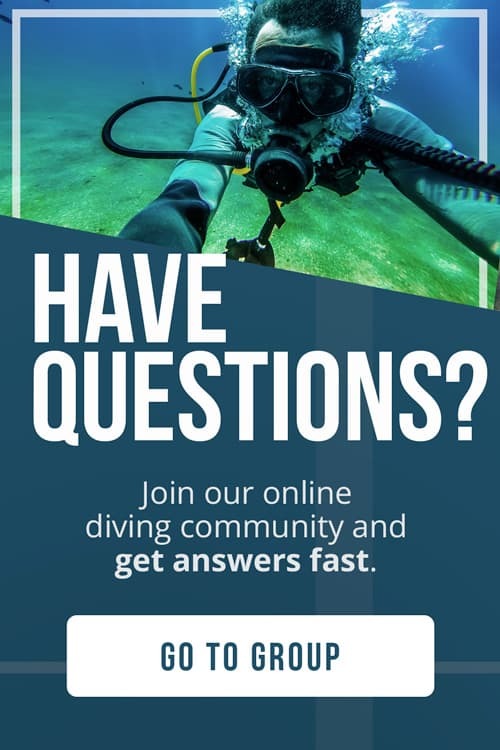 What type of scuba diving experience interests you the most? Liveaboards feature excursions in all kinds of environments ranging from mild to wild. Based on the region, special sites may include shipwrecks, caves, muck, and more. Most safaris offer night diving, and fluorescent dives are growing in popularity. If photography is your focus, you may prefer to book a liveaboard centered around helping you capture the moment underwater. Many vessels provide special facilities for your equipment and photo editing. Many safaris also offer workshops and photo training onboard. 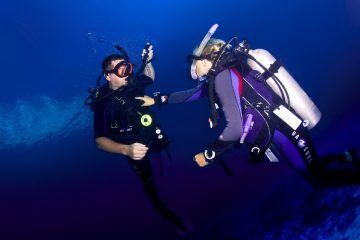 With anywhere between three and five dives a day, you are sure to enhance your skills while onboard. What climate suits you best? Some fantastic destinations for rare wildlife are in cold water. Pacific sites like Cocos Island and the Revillagigedo Archipelago are famous for interesting topography and scores of sharks. Remember that you will feel colder after repetitive dives. When it comes to chilly conditions, always use comfort and experience to make a decision. Like shopping for diving equipment, planning for your trip should be all about fit and comfort. Cost is a factor, but it shouldn’t be the decision maker. Keep all the above points in mind, and then find a price tag that suits your lifestyle. Whether booking a budget or luxury liveaboard, be sure to decide which amenities suit you best. Details like whether your cabin and bathroom are private or shared can make a big difference during a week long voyage. When it comes to upscale itineraries, be sure that you will partake in the luxury perks. Hot tubs, massage parlors, kayaks, and top shelf alcohol may be included in the price whether you use them or not. Don’t forget to factor in a few extra expenses. You’ll need a bit of spending money to reach your port of departure, and for hotels and meals while you are on the road. Gratuity is separate from your booking price, and you should expect to tip between 10 and 20 percent based on service and hospitality. These days, most people use online reviews to assess a product before they make a purchase. Booking a liveaboard is no different. Trust other scuba divers opinions and watch for both positive and negative trends for each boat or provider. Keep your eyes open for any red flags concerning safety, and always book through a reputable agency. 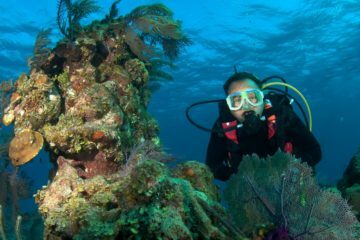 When possible, schedule your dive travel with environmentally responsible providers. 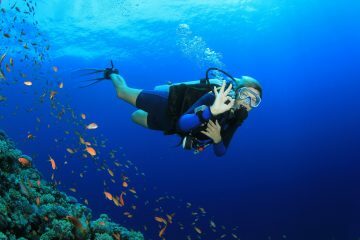 Spending your dollars wisely as a “green consumer” encourages dive operators to provide and promote sustainable options.